Please note: the advice presented below also holds true for applications comprising a CV and cover letter (more content on this specific type of application coming soon). This golden rule describes the nature of it. It is an iterative process. The same holds good for advices, skeleton arguments, pleadings and opinions, so you’d better get used to it. In general, your answers should be clear and substantiated by appropriate examples, and make the reader think that you are an advocate. Above all, draft in a Word document! The drafting process takes time, but this is how you strike gold. We cannot stress enough how important it is to use simple, straightforward language. The best lawyers say complicated things simply. Don’t say simple things complicatedly. Someone sifting 200 paper forms will not appreciate complex compound sentences with excessive, obscure polysyllabic words and legal Latin thrown in. It’s not impressive; it’s pretentious and infuriating. 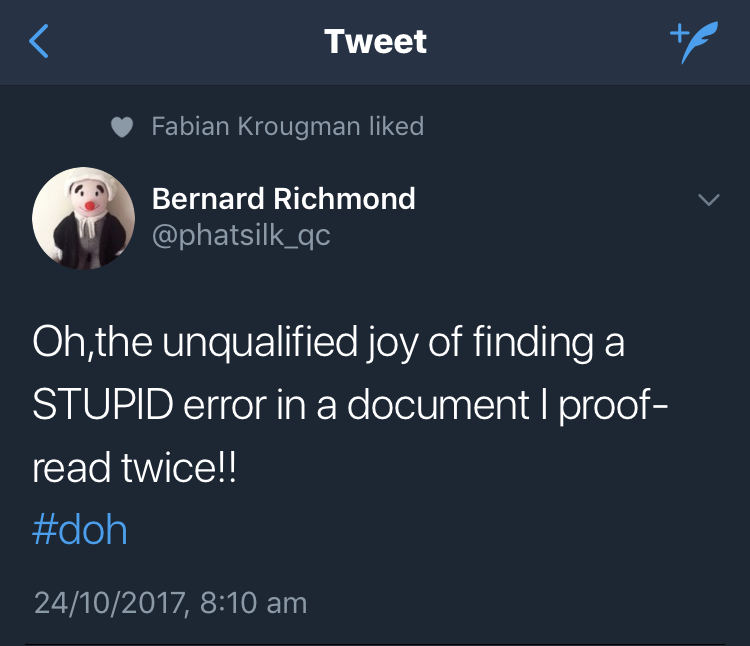 It is a frequent fault of very junior barristers, who lack confidence in their views and seek to hide this by complicating their language in the apparent belief that circumlocution and pomposity make them sound authoritative. That said, it is important that you write in full and proper English, avoiding contractions (i.e. writing ‘it is’ instead of ‘it’s’ and ‘is not’ rather than ‘isn’t’). You should also avoid using abbreviations or shorthand for all words that are not immediately obvious. Since it cannot go without saying, your applications should be free from spelling errors. Since it cannot go without saying, your applications should be free from grammatical errors. Since it cannot go without saying, your applications should be free from typographical errors. One mistake will not make or break your application. Two or more, however, will. You have to have someone else look through your answers; this will preferably be someone who does pupillage interviews and/or is a junior tenant who has recently gone through the process themselves. Failing that, you just need someone with common sense to read your form. When that’s done, you need to take on board the feedback you have been given. If you don’t have a mentor, now is the time to find one. For help with that, you can read the section on mentoring in Section 4 of the guide. So if a set sees itself as particularly ‘academic’, answer with that in mind. If it sees itself as ‘campaigning’ or social justice-orientated then try to subtly signal throughout your form that you’re the candidate for them. Don’t mention Finch, Rumpole, Silks or Suits in your applications. Don’t. Don’t mention the legal issue that you/your family had to deal with. While this may have been your initial motivation for coming to the Bar, it rarely goes down well. Don’t make a joke in your application form (or at interview); this also rarely goes down well. If you are going to recycle sentences/paragraphs for other applications, you absolutely must double-check them. Copy-and-paste work always shows, and if you mention Chambers X in an application for Chambers Y, you can pretty much guarantee that your work will be binned. Typos are sneaky creatures that can hide right under your nose. 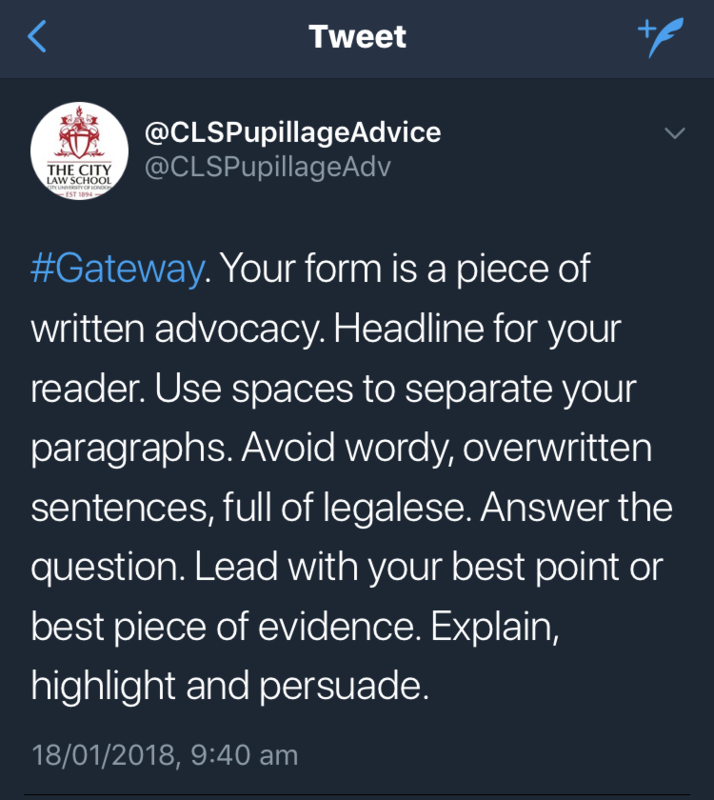 The author of this guide proofread their gateway applications for six hours prior to submission. And they still probably missed something! Proofreading matters so, so much because every year candidates make mistakes. Most of those mistakes aren’t fatal but they can be. Don’t give the assessor an excuse to chuck your application away. This is how you’ll see mistakes that you missed before while staring at the screen. Don’t just proofread for spelling and grammar mistakes – you must also do a style check. Use Word. Go Tools; Spelling and Grammar; Options: Writing Style and select “Grammar and Refinements”. You should also check the names of chambers and any barristers that you name-check. You can also pick up on typos and check for style simultaneously by highlighting your answers and using the “text-to-speech” function on your word processor. Firstly, you’ll hear the machine struggling to pronounce words with typos, and secondly, you’ll be able to listen to your beautiful prose read in a completely new voice (with an accent of your choosing). Sign up to our mailing list for updates on the guide!